Let the exceptional teachers in your life know that you appreciate all that they do by saying “thank you” to them today! This day is dedicated to honoring mothers and celebrating all the amazing things mothers do! Dedicated to ending childhood poverty, Red Nose Day brings people together to have fun, raise money, and change the lives of children who need our help the most. This day is dedicated to honoring fathers and the impact they have on their children! Don’t leave any veggies on your plate today! Enjoy every nutritional bite of these healthy foods to celebrate this holiday. Get out your yoga mat and join others around the world in celebrating the physical and mental benefits of practicing yoga. In our fast, ever-increasingly busy lifestyles, National Simplicity Day is the time to take a step back and begin to simplify our lives. Give yourself time to slow down and enjoy the little things in life with your family today. People celebrate Friendship Day by spending time with their friends and letting their friends know how much they mean to them. Today is dedicated to showing appreciation to the grandparents in our lives! Elephant Appreciation Day gives people the chance to honor and appreciation this kind, gentle, and family-oriented animal, and gives our little learners the chance to celebrate their friend, Bubbles the Elephant! On this special day, parents and students around the world celebrate the important role teachers play in their lives and the contributions they make to society. Make a Difference Day was established to encourage us to dedicate one day out of the year to try to make a difference in the world. This most generous of holidays was founded to raise awareness of the importance of philanthropy, encourage those not already performing volunteer or charity work to get involved, and to acknowledge the efforts of those who already invest time in helping their fellow humans. Our little learners will spend today engaging in activities related to Science, Technology, Engineering, Art, and Math to help spark their interest in these fascinating subjects! Celebrate today by hand-crafting gifts for the special people in your life! Mitten Tree Day encourages children and parents to donate mittens and warm clothing to help those in need. Early childhood is a time of remarkable brain development. The education that children receive during these years creates the foundation for their future growth, development and learning potential. At The Learning Experience®, we are dedicated to cultivating creative, compassionate and innovative young minds through our proprietary curriculum and enrichment programs that increase learning during six critical stages of early development. Our programs have been built to help children maximize their cognitive, physical and social potential. Or as we say at TLE®, we help children "learn, play and grow!" We believe that how children learn is as important as what they learn, that's why our educational programs are designed to inspire children's love of learning through hands-on lessons that make their educational experience fun! Daily lessons promote positive engagement throughout the day and include phonics, sign language, manners and etiquette, philanthropy, foreign language and hands-on technology. Enrichment programs such as yoga, soccer, drama, dance and music are also offered at no additional cost. 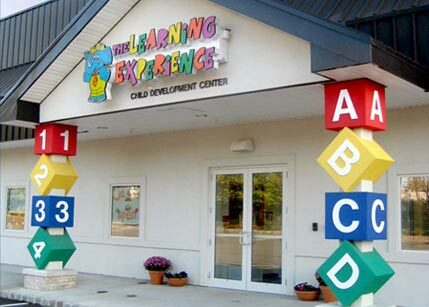 Whether you have an inquisitive infant, tenacious toddler or passionate preschooler, put your child on the path to success and discover how we help children reach their full potential at The Learning Experience®! One of my favorite aspects of being an educator is being able to watch the children grow, and an added bonus is I have had the opportunity to grow with them. I have been with The Learning Experience since June of 2010. Starting as a part-time Floater gaining experience in all classrooms. I became an Assistant Teacher in the Twaddler classroom then a Lead Teacher in Preschool 1 and now an Admin. I am able to not only interact with but educate each and every child in the building. I am thankful to be a part of the children's social and emotional growth during their time here with us. While in high school, my child development class ran a part time day care and we would care for preschool aged children. I enjoyed it so much that after I had my son I decided it was time to switch fields. I started with The Learning Experience as a part time employee in the kitchen. I would gladly be in a classroom with the children whenever asked and assist wherever needed. Over time my prior office experience started showing through. It became clear that it was time to merge my love of being with children and prior work experience together. It has been and is my pleasure help provide a safe and nurturing learning environment for the children. Click Play below to take a virtual tour of our Academy of Early Education! This theme will highlight the key concepts of traveling. Children will gain valuable understanding of packing, planning, and proper documentation required for successful travel. The children will pack their bags as they visit a variety of popular destinations and discuss modes of transportation commonly used for travel. This theme will enable opportunities to learn about different times in history, including Ancient Egypt, Ancient Greece, the Renaissance, and medieval times. Throughout the month, the children will draw medieval attire as well as work as a class to build a pyramid. This theme is back by popular demand! The Learning Experience® has a strong outlook on early literacy, and this topic reinforces this belief. The month kicks off with Read Across America Day and the celebration of Dr. Seuss’s birthday. The children will enjoy learning about a variety of authors and many different story genres! Plants, Gardens, and Bugs, Oh My! This theme will be sure to have your skin crawling. The children will be discussing life cycles of plants and the benefits to the earth of planting gardens. Meanwhile, as they look at bugs via their magnifying glasses, they will learn how these little creatures aid and benefit plants and gardens alike. The children will have the opportunity to learn how we are the same and different. Additional topics include “Families,” “What Makes Us Special,” and “Peacemakers.” You will be invited to take part as this monthly theme will have a special emphasis on doing good and philanthropy. Exciting visits from entertainers such as the "Reptile Guy" and "Peas and Carrots Musical Group"
Fun in the Sun, and Much More! *Centers may provide off-site field trips for children four years and older. Summer programs may vary by location. This theme is an excellent introduction for the children to learn about their centers, communities, and, on a larger scale, their states. As they learn about their local communities, they will also have the opportunity to discover job roles and discuss what they imagine themselves being when they grow up. During this month, learning will focus around the importance of eating healthy. Special attention will be given to including physical hygiene as a part of a daily routine. Physical health and safety practices will also be a part of the exploration this month. Children will have fun opportunities to uncover ideas, including “Down on the Farm,” “The Animals,” “Growing Food and the Tools Used,” and, finally, “Farm to Table” where the children will sample farm fresh foods. Everyone will be amazed with this theme! Children will investigate the earth, wind, and water through hands-on activities and scientific explorations. They will be making their own tornado tubes and glaciers and discussing the cause and effect of such forces. • Infants are exposed to explorative play, sensory stimulation, music and sign language to promote healthy growth and development. • Sanitary systems are designed to protect your baby's health and include a 14-step diaper changing procedure and daily sanitation of toys, gliders, cribs and changing stations.  • Nap and feeding times follow your baby's individual schedule. • Private crib and cubby are available for your baby's personal items. • Nursing stations are in the classrooms for visiting mothers. • Interactive play, music, and dance are incorporated into daily lessons to support your toddler's cognitive and social development. • Stimulating art projects and sensory activities help develop your toddler's motor skills. • Outdoor time encourages social engagement and playtime. • Age-appropriate physical fitness activities keep curious toddlers on the move. • Self-help skills such as washing hands, picking up and sharing are taught in order to foster social assimilation. • Twaddlers are introduced to phonics, physical fitness and our Manners Matters® program. • Introduction to circle time increases social participation and communication skills. • Daily reports allow you to monitor your child's progress and daily activities. • Potty training is introduced by our trained and nurturing staff to help reinforce potty training habits taught at home. • Preppers are introduced to early writing and object recognition skills to help them prepare for preschool. • Comprehensive daily lessons include music, movement, art and science to promote intellectual, social and physical development. • Computers and technology are introduced to help prepare children for the world around them. • Potty training habits are reinforced to allow for an easy transition into preschool. • Our advanced proprietary curriculum in the Preschool classroom focuses on math, science, technology, the arts and shared and independent play. 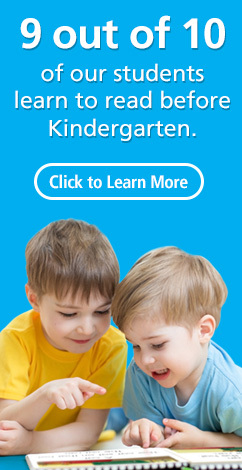 • Early literacy and kindergarten readiness are promoted through our Fun with Phonics® program. • Preschoolers are introduced to new cultures and languages through our foreign language programs that include Spanish and Mandarin-Chinese. • Philanthropy lessons teach preschoolers the values of selflessness and giving. • Learning takes place through socio-dramatic play and curriculum extensions taught in our Make Believe Boulevard®. • Our full-day Kindergarten program is taught by state certified teachers that plan their lessons in accordance with state standards. • Interactive programs encourage kindergarteners to explore the world around them through art, music, physical fitness, science and dance. • Smaller group sizes allow for more individualized attention. • Homework help and tutoring is offered to support continued success and academic development. • Transportation to and from local elementary schools is offered at participating locations. • Age-appropriate recreational activities keep children active and engaged and include art, science projects and physical fitness lessons. • Care is offered during school closings and holidays. • Nutritious snacks are included in the cost of tuition. TLE’s® Work and Family Experience® is an employer sponsored child care benefit program that is a way for working families to receive a corporate discount at The Learning Experience® Academies of Early Education. Our Work & Family Experience® partners with hundred corporations across the country. To see if your company is a part of our Work and Family Experience® and find out additional information on the program click here.